In a recent working paper , we follow their contribution but simplify the framework by disregarding public investment and by directly postulating the normative goal of minimizing the excess burden of taxation. 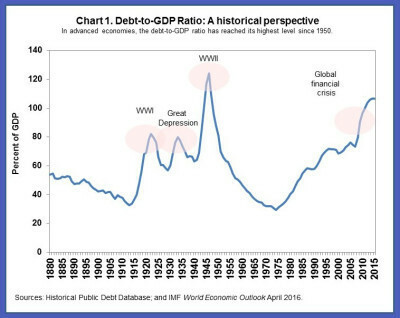 But, on the other hand, we extend it by taking into consideration the empirical fact that financial crises, natural disasters, and wars are repeated events, with sizable implications for public finances. Moreover, we were motivated by the perception that risks to public finances are asymmetric: large, positive disturbances to the public debt ratio are much more likely than negative shocks of similar magnitude ( IMF, 2016 ). 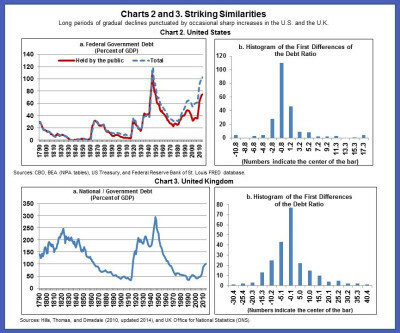 To put it simply, sudden surges in debt ratios from, say, wars or bank bailouts are more common than sudden drops of debt ratios from, say, privatizations or licenses.